Do you feel overwhelmed by demands to produce better content—and more of it? What if you could learn an inspiring method of increasing the quality of your content while also increasing reach and results? Hear how the magic of an analytics-friendly “How? Now. Wow!” editorial architecture can reinvigorate your content and reignite ROI. You’ll also learn how to build a content program that achieves measurable results every step of the way—and how to track those metrics across paid, earned and owned media. Margaret Magnarelli is managing editor for content and senior director of marketing at Monster. She oversees a brand newsroom team that creates written, video and interactive content. Her team was awarded Best Content Program in the 2016 Content Marketing Awards from the Content Marketing Institute, best blog in the 2017 awards, and she has been a finalist for CMI’s Content Marketer of the Year. She’s presented on content marketing for Content Marketing World, ANA, SXSW, Content Marketing Conference and others. 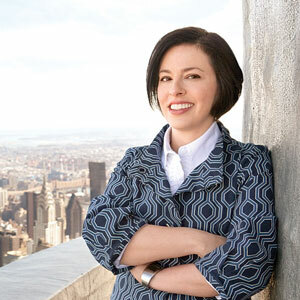 Previously she worked as a journalist, most recently as executive editor at Money magazine and Money.com.